Description The Manager of Distributed Energy Resource (DER) Strategy will create and implement a DER strategy for one of California's largest CCAs covering the full range of DER resources including generation, storage, and demand response. This is an exciting opportunity to increase local renewable energy usage and reduce greenhouse gas emissions in the Bay Area. This person will work under the supervision of the CEO and in close collaboration with the Director of Power Resources, the Director of Energy Programs and the Director of Customer Care. The ideal candidate will have at least five - seven years of directly related experience. More information is available below and at www.peninsulacleanenergy.com . About Peninsula Clean Energy Peninsula Clean Energy (PCE) is the community choice energy program (known as a "CCA") for San Mateo County. PCE's customer base includes almost 300,000 accounts, serving a population of 765,000, with a total electrical load of almost 4 million megawatt-hours. PCE is the fifth operating CCE in California and launched in October 2016. PCE is the electricity provider for all electricity accounts in the 20 communities in San Mateo County (Atherton, Belmont, Brisbane, Burlingame, Colma, Daly City, East Palo Alto, Foster City, Half Moon Bay, Hillsborough, Menlo Park, Millbrae, Pacifica, Portola Valley, Redwood City, San Bruno, San Carlos, San Mateo, South San Francisco, and Woodside) as well as the unincorporated county. The city councils of each city were unanimous in their support for joining PCE. Examples Of Duties PCE has a goal to meet 100% of our customer's load with renewable energy by 2025. PCE expects implementation of DERs to play a significant role in meeting this goal. 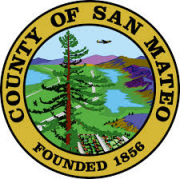 The Manager of DER Strategy will create a distributed generation strategy and launch procurement efforts to develop opportunities to employ DERs in San Mateo County. The Manager of DER Strategy will work closely with key internal and external stakeholders (including developers, technology providers, site hosts, regulators, and board members), coordinate local community-based renewable/GHG-free energy projects, and participate in Board of Directors meetings as well as community events. The Manager of DER Strategy is responsible for developing and maintaining relationships with these key stakeholder groups, and for communicating PCE's central messages consistently. The salary for this position is commensurate with experience. Peninsula Clean Energy also offers competitive benefits. Qualifications Experience/Education Education and experience equivalent to a Bachelor's degree in business, economics, engineering, environmental planning or a related field and a minimum of five to seven years of experience directly related to the duties and responsibilities described above including working at a project developer, on DER programs in the utility industry, and/or with a CCA program. Master's degree in business administration is desirable. Experience and Knowledge: Direct experience designing and developing DER installations including evaluating site locations, estimating system output, analyzing costs and benefits, and familiarity with interconnection policies and procedures, and DER system design. Deeply familiar with the DER landscape including DER technologies, contracting structures, local, state, and federal policy, funding sources and opportunities, and best practices for procurement design and implementation. Existing relationships with a significant number of DER stakeholders, developers and decision makers. A successful history developing new business, including identifying opportunities, building partnerships, developing proposals, and executing projects to completion with well-thought-out scopes of work and budgets. Knowledge of power purchase agreement structures, general terms and conditions and excellent negotiation skills. Experience writing or responding to Requests for Proposal (RFPs) and other procurement processes for renewable energy projects. Experience building financial models to evaluate and analyze the costs and benefits of different renewable energy structures, including PPAs, leases, and ownership models. Familiarity with energy efficiency, demand response, energy storage, microgrids, and distributed generation; willingness to work with subject matter experts. Understanding of regulatory requirements and opportunities including the California Public Utilities Commission (CPUC), California Energy Commission (CEC), the California Independent System Operator (CAISO), the Department of Energy (DOE), as well as others. Ability to: Produce exceptional written products with strong logistical and quantitative analysis. Deliver excellent public speaking across diverse audiences. Exercise sound judgment, creative problem solving, effective dispute resolution, and commercial awareness. Manage multiple priorities, meet deadlines, and quickly adapt to changing priorities in a fast-paced dynamic environment. Take responsibility and work independently, as well as coordinate team efforts. Be thorough and detail-oriented; demonstrate patience, tact, and courtesy. Work as needed to attend evening and weekend meetings and presentations. Travel throughout the region to attend meetings and functions. Establish and maintain effective, professional working relationships with customers, commercial partners, PCE staff team, Citizens Advisory Committee, and Board of Directors. Work with intermediate and advance MS Office functions, including Word, Excel, Outlook, and PowerPoint. Work with tools including Gantt charts and project management tools, CRMs and other advanced project tools. Be part of a team of committed people. Supervisory Responsibilities No direct supervisory role anticipated at this time, but this could change as PCE grows over time. Application/Examination Submit applications to: hr@peninsulacleanenergy.com with a subject line: "Manager DER Strategy: Your Name" The application must include: Cover Letter Resume Responses to the four Supplemental Questions listed below Supplemental Questions Please describe how your education and experience have prepared you for this position, and how the position fits into your career goals and aspirations. Specifically, describe your experience and / or knowledge of procuring or developing distributed generation projects. Describe how you would evaluate the viability and value of a proposed DER project. Please describe your experience in developing feed-in tariffs, solar programs, and/or other innovative wholesale or retail-based energy programs. In this position, you will be part of a small, but growing, team of professionals. Describe your experience working as part of a team and indicate how you add value to the team. If you have managed or supervised employees, please describe that experience as well.